I found the following over at "American Thinker". When President Obama recently nominated Kansas governor and universal healthcare advocate Kathleen Sebelius to be to the country's Secretary of Health and Human Services (HHS), the president of America's Health Insurance Plans (AHIP) called it "a very smart choice. She has a good intellect, a big heart and tremendous expertise." AHIP and its predecessor, the Health Insurance Association of America, have a track record of financial support for Gov. Sebelius dating back to the time she served as Kansas Insurance Commissioner. Of course, the health insurance industry also supported President Obama's first choice, Sen. Tom Daschle. Daschle's financial backers included AHIP, which paid Daschle $40,000 for two speeches, and health-insurance giant United Health Care, which paid him $5,000 for "advice." Many people criticized Daschle for taking money from the insurance industry. Few people asked the more obvious question: What were insurance companies doing paying thousands of dollars to someone who devoted his life to policies that could put them all out of business? Daschle's book Critical: What We Can Do About the Health Care Crisis praises universal, single-payer healthcare as a worthy goal. However, he concludes that it would be politically problematic to implement such a system in the United States due to the opposition of special interest groups like the insurance industry. "Senator Daschle is exceptionally well qualified to bring people together in support of universal coverage, cost-containment, and improved quality." The industry's philosophy -- not to oppose policies that would harm insurance companies and their customers; not to simply acquiesce to ridiculous demands; but to enthusiastically embrace changes designed to reduce the ability of average Americans to buy health insurance -- was on display during the recent expansion of the State Children's Health Insurance Program (SCHIP, commonly pronounced S-CHIP), the federal program designed to provide healthcare to children. In the past, SCHIP benefits typically were limited to families earning up to 200 percent of poverty level. The legislation recently passed by Congress raises the cap to 300 percent of poverty level and allows states to raise the cap even higher, subject to lower federal subsidies for those additional benefits. To qualify for SCHIP benefits, the government requires families to first drop their individual health insurance entirely. If families do not have an individual policy but get their coverage through their employer, they may be allowed to keep their group coverage in some cases. States may offer this option if the employer pays least 40 percent of the cost, as long as the policies do not allow families to set up a health savings account to pay for their medical expenses. As a result of provisions like these, many kids who enroll in SCHIP in the future will not come from the ranks of the uninsured, but from families that drop their private coverage in order to receive "free" government care. According to the Congressional Budget Office, even before these changes it already was the case that for every 100 children who qualified for SCHIP, 25 to 50 dropped their private insurance. Imagine for a moment that you are the chief lobbyist for U.S. health insurance industry, and Congress is considering a law that would give government healthcare benefits to people who can afford to pay for their own insurance. Further imagine that Congress would require people who already have health insurance to drop that coverage in order to qualify for government aid. What would your response be? "This vital legislation provides health security for millions of children in working families and builds momentum for comprehensive health care reform. Expanding coverage for kids is a big first step toward ensuring that all Americans have affordable, quality health care." Some foreshadowing of the insurance industry's apparent death wish came during the U.S. Presidential campaign. Sen. John McCain proposed giving families $5000 each to buy their own health insurance, while Sen. Obama proposed giving everyone the option of a "new public plan" instead of private health insurance. My review of campaign donation data indicates that employees of the nation's biggest health insurers -- Aetna, Blue Cross, Cigna, Humana, United HealthCare, and Wellpoint -- voted with their dollars, giving over twice as much to Obama as to McCain. In Ayn Rand's book Atlas Shrugged, industrialist Hank Reardon is stabbed in the back by his "man in Washington," Wesley Mouch. In the novel, Reardon is a relatively innocent victim of the man hired to protect his interests from Washington predators. In the real world, the insurance industry is no innocent victim. For example, to head its Washington operations, the industry chose someone whose experience came from working for the AFL-CIO and, I am not making this up, the Committee for National Health Insurance, an organization formed by labor unions to lobby for "a truly radical overhaul of the health care system" with the federal government as the nation's only health insurance carrier. Question: "Tell us a little about your experience." Answer: "I've been working to put you all out of business." Reply: "Great! When can you start?" I personally know someone who recently was sent out of her local welfare office in tears, because an overwhelmed government bureaucrat mistakenly told her there was no state coverage available for her child's leukemia. I know of a child who was hospitalized because her parents were not given government assistance to buy insurance, but instead were forced to use the local Medicaid-funded clinic where their daughter was misdiagnosed. 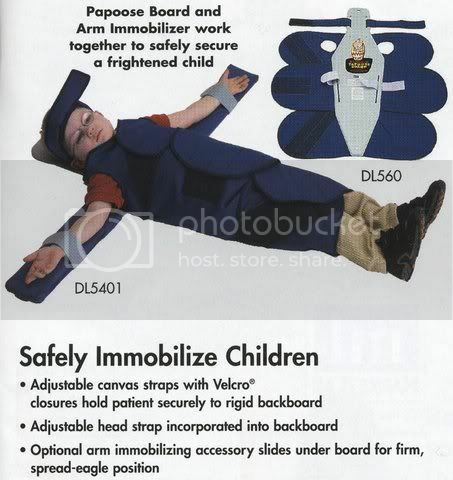 I have read stories in my local newspaper about children who are strapped to "papoose boards" like tiny Hannibal Lecters in order to get their teeth examined. Why? Because instead of providing financial assistance to low-income families to make dental insurance more affordable, the government instead forces them to go to Medicaid-financed dentists. These horror stories are what we all have to look forward to as elected officials, aided and abetted by insurance industry lobbyists, gradually replace private health insurance with government-run healthcare. Bryan Riley was the Republican candidate for Kansas Insurance commissioner in 1998, losing to incumbent Kathleen Sebelius. I just wish that money was allocated to increase reimbursement rates to our private dentists. This would surely shut down these dental mills. Hit them in the pocketbook, right? I encourage each of you to contact your state Legislators and Heath and Human Services Department and voice your opinion about increasing the reimbursement rates.